Synopsis: Sarah and I decided to go for a nice half-day hike on Saturday, July 5th through the Desolation Wilderness in the South Lake Tahoe Basin. We decided to head down to the Emerald Bay area and hike up the Eagle Falls trailhead to Eagle Lake and then continue on up towards the ridgeline between Janine’s Ridge and Maggies Peaks. Once at that intersection with great view of Azure Lake, we would then continue up towards the saddle between North and South Maggies Peaks and head up to the summit of South Maggies Peak. Lastly, we would head down towards Granite Lake for a quick swim and exit at the Bayview trailhead. 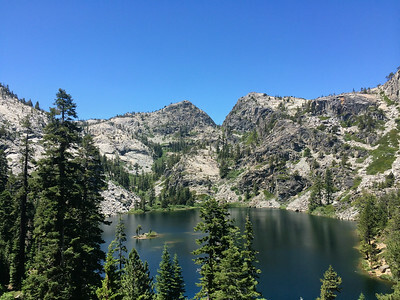 This nice day hike offers a good loop through the very edge of Desolation Wilderness with approximately 6 miles and 2,000 or so feet of elevation gain and loss. Synopsis: Last November, I recall sitting back on the porch of Sarah’s mother’s home and discussing cool trips we would like to go on. 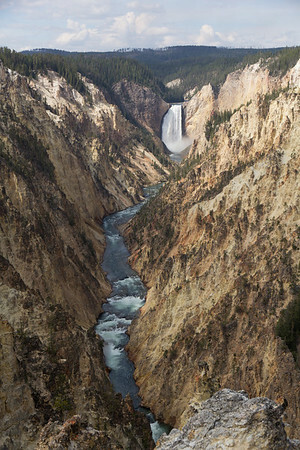 After some discussion, I mentioned that I really wanted to go back up to Grand Teton and Yellowstone National Parks. I had been to each as a very young kid with my parents (around age 10), but wanted to go back one day and fly fish, hike, kayak and generally see the terrain and wildlife. Sarah was immediately hooked on the idea, so we began planning the trip. This was Sarah’s first visit to to the area, and I could sense how excited she was becoming in the weeks leading up to the trip as I forwarded pictures from the area during the work week. We were both excited as we had a large number of activities planned, including white water kayaking, fly fishing, hiking and lake kayaking. I was secretly also very excited as I was planning on proposing to Sarah during our first night (suspense, suspense! ).